The importance of reading comprehension in the third grade cannot be emphasized enough. 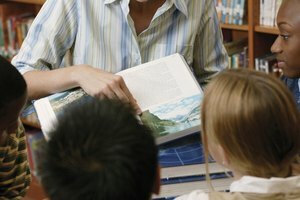 Research proves that children who are struggling in reading at the end of third grade will have academic problems throughout the rest of school. Third grade has been identified as the grade in which children arrive at a crossroads regarding learning in general and reading in particular. The steps below will help you improve reading comprehension in your class. Stress fluency. Reading fluency is a very important component of reading comprehension. Fluency is the ability to read accurately, with proper speed and expression. Nonfluent readers will not have good comprehension. There is one main way to improve fluency practice. Encourage students to read at every opportunity. There are programs such as "Quick Reads" that have passages expressly written for the purpose of increasing speed. There are websites with reading passages that can be downloaded and copied to give to your students to take home. 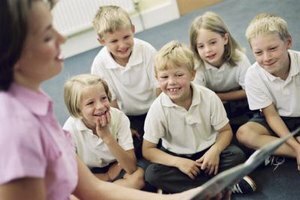 You can have your students read to each other, read chorally or read repetitively after you. Conduct interventions for struggling students. You and your assistant teacher (if you have one) can meet with students one-on-one or in small groups of three to five students for intense intervention. These are specifically for students who are having trouble with reading skills in the whole group setting because of learning disabilities or attention problems. Always document when you meet and how long as well as what methods and materials you used. Also have a way to measure progress such as a reading fluency test or a series of comprehension questions after a reading passage. Reinforce comprehension across the curriculum. You probably already do this indirectly, especially with history or science where there is much reading involved. Take the time to tell your students that when they write a report, they are summarizing; when they conduct an experiment, they are inferring. Make reading an intrinsic part of instruction throughout the day; this will make these strategies become a central part of the students' learning experience and help them see the importance of connecting reading to everything else they do at school. Use a variety of strategies. Reading comprehension is not one skill to be mastered---it involves several skills being used at different points to attain understanding. Students are not really reading until they understand what they read. Student cannot understand what they read until they know the thinking processes that takes place. The strategies they must master are predicting, questioning, summarizing, monitoring and clarifying. These are taught systematically; then students need to practice applying each one as they read. Give students an active role. A good way to do this is to organize teams in your room of three to five students. They can come up with a name, slogan and emblem for their team. 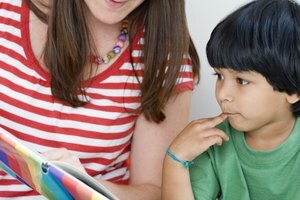 Assign a system of earning points for reading books at home. Assign points for other things that best apply to your class. Some examples are extra points for reading to a younger sibling or for the highest grade on a story test. These are just a few ways to give incentives to your students, make learning fun and to teach them to work cooperatively at the same time. Hollowell, Karen. 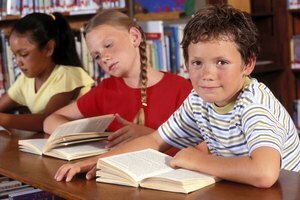 "How to Improve Reading Comprehension in the 3rd Grade." Synonym, https://classroom.synonym.com/improve-reading-comprehension-rd-grade-4895906.html. Accessed 24 April 2019.